preparación, corte, bisel o vestidor y soldadura orbital. Prototypes, design, industrial engineering, production, special machines: since the origins of our company, our Research and developmentd was always an essential component of our development. 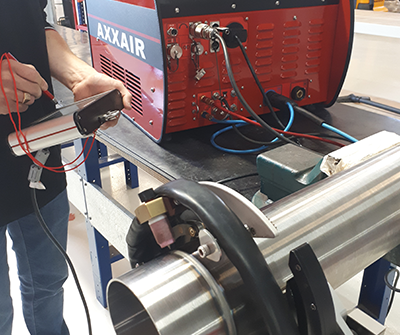 Owner of patents bound to our orbital machines of industrial processes of the tube, AXXAIR explores constantly new ideas bound to the cutting, to the bevelling or to the orbital welding processes. 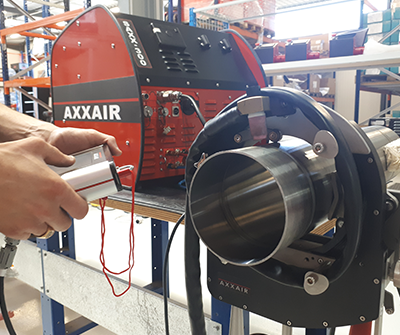 AXXAIR acompaña a sus clientes en la realización del proceso global de corte, aplanamiento, achaflanado y soldadura orbital en más de 60 países de todo el mundo. Con este planteamiento de colaboración cada vez más estrecha con nuestros clientes, ponemos énfasis en el servicio. Este aspecto comienza con la determinación de los parámetros de soldadura en la fase previa a la venta, incluyendo la preparación. Posteriormente, aseguramos la formación del personal en estos materiales para garantizar que los usuarios sean autónomos en relación con las aplicaciones que se verán obligados a emplear. The definition of a duty cycle: Defined as a percentage calculated when the power source supplies electrical current in measured 10 minute intervals, and does not exceed an environmental temperature of 104°F (40°C). 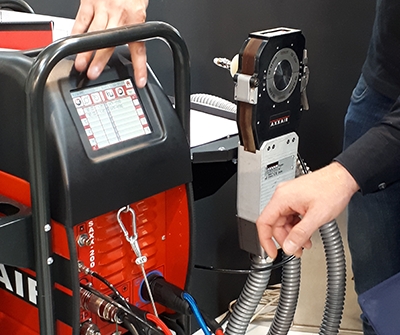 Welding with an orbital TIG power source allows you to achieve high quality welds. 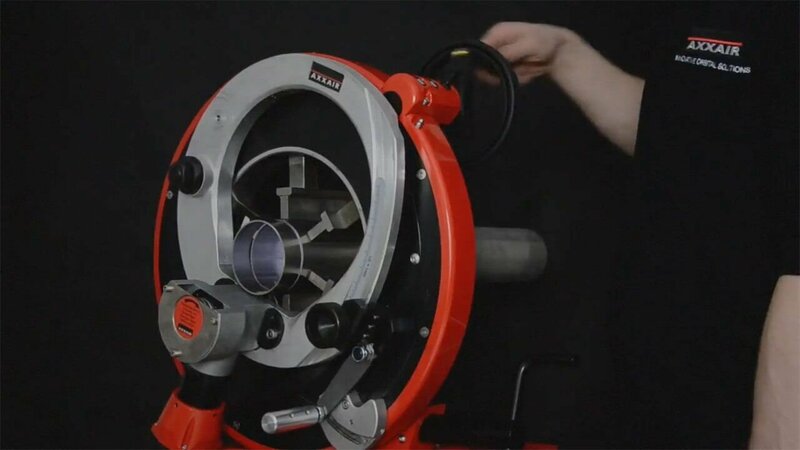 These high standards are a requirement in a large range of industrial fields, where regulations and standards don’t allow for welding mistakes. In order to ensure that your equipment provides you with the best quality result, an essential condition to consider is the quality of the main power supply. If this is not respected, you cannot obtain a perfect weld. 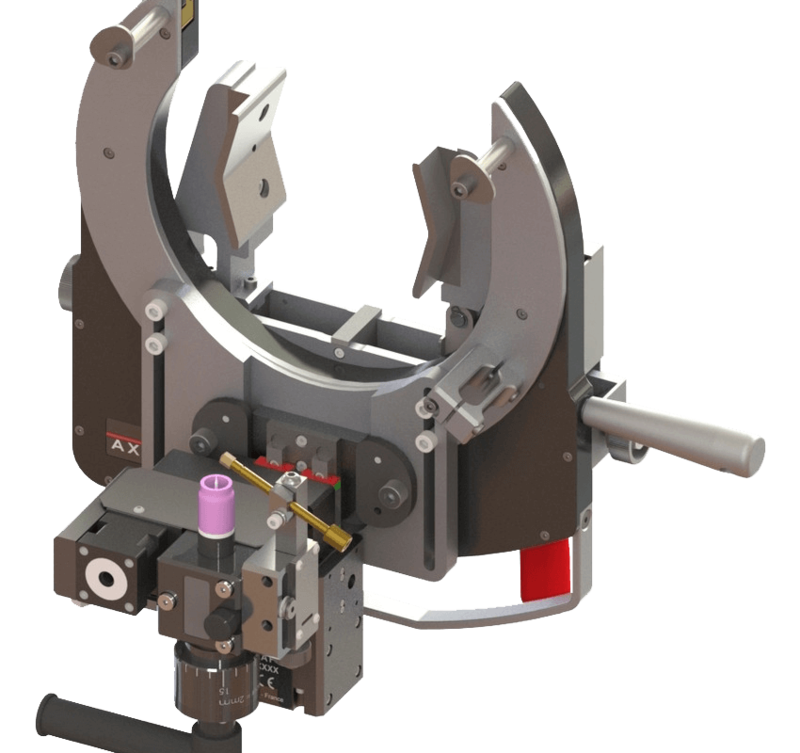 The man-machine interface is the activity between the welders and the orbital TIG power source. 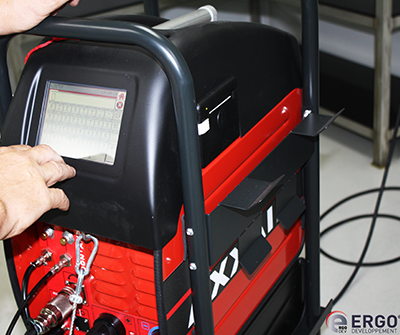 In using this interface the welders are able to coordinate and supervise activity during the welding process. 2019 © Axxair Todos los derechos reservados / Creación Agence Nile.